Question: I work at home for a company located in Wilmington, Delaware. They provide an office for me, but it's just easier to work from the comfort of my home in Smyrna and I avoid all the travel. I would like to know what expenses I may deduct for my "home office" on my tax return. Answer: Ok, are you ready for this NOTHING! Sorry to report, but since you are working at home for your convenience, you may NOT deduct the costs associated with your home office. If your employer is providing you with an office, but you elect to work from home, then the home office is not allowed. If on the other hand, your employer does not provide an office and you are working for the employer's convenience, then you will have some legitimate home office deductions. We will need to start by looking at the total square footage of your home. We then need to know the square footage of the specific space which is exclusively used for business. We will then figure out a home office percentage. 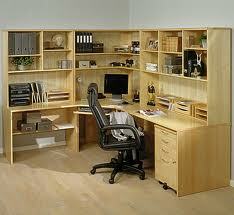 We will then need to know the costs associated with your home and we will derive a home office deduction. You will need to remember that the deduction is a 2% limited deduction on your Itemized Deduction schedule, so the savings will be based on the amount of space, costs, and your income. We may also discuss taking a depreciation deduction for your home, but that gets complicated so we will leave that for another day. For more specific assistance with the home office deduction and other tax questions, contact Ralph V. Estep, Jr., of Saggio Accounting+PLUS at (302) 659-6560 or visit our website at www.saggioaccounting.com. Call today to take advantage of our $35 discount for all new clients.